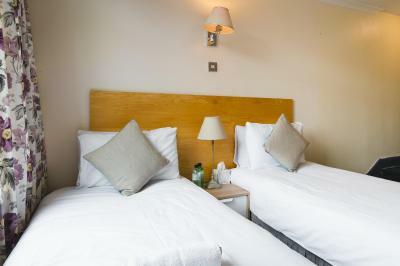 Very clean; comfortable bed; easy check-in; friendly staff. 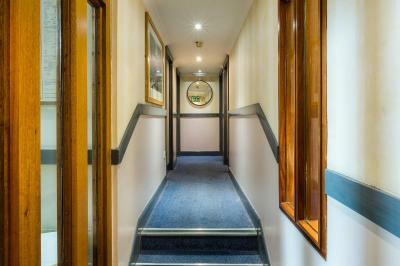 Central location, walking distance to bus station. 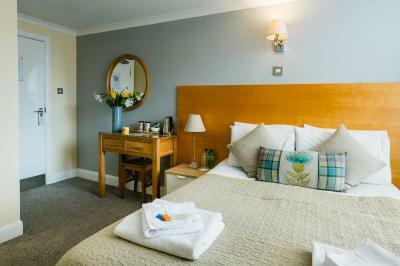 Room was very comfortable and all of the staff very pleasant. Close to restaurants and the bus. The location is excellent and if the small negatives are resolved I would say this property is ok value for money. The room was small, but typical of an old building in England. Great location! The entrance is a little off putting - right by a crowded bus stop, but once inside the place is lovely, clean and welcoming. Staff were really helpful and came to help us unload our car and take our bags upstairs. They were happy to store our bags without charge before and after our check out. When we needed an iron one was swiftly provided. Basic accommodation but a pleasant surprise. Good if you're looking for a bed for the night. Nice man at reception. 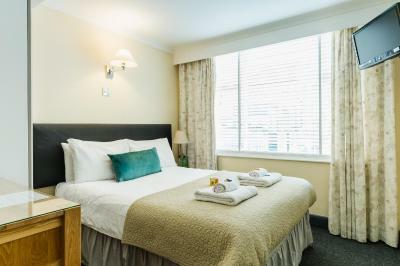 George Oxford Hotel This rating is a reflection of how the property compares to the industry standard when it comes to price, facilities and services available. It's based on a self-evaluation by the property. Use this rating to help choose your stay! One of our best sellers in Oxford! 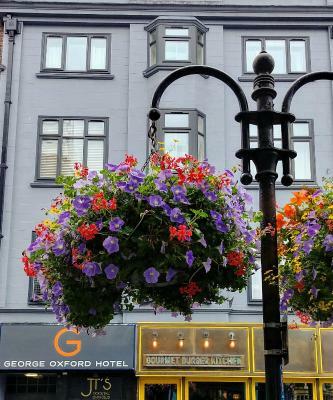 Located in the heart of Oxford on a lively street,George Oxford Hotel offers single, double and twin rooms with free WiFi access. 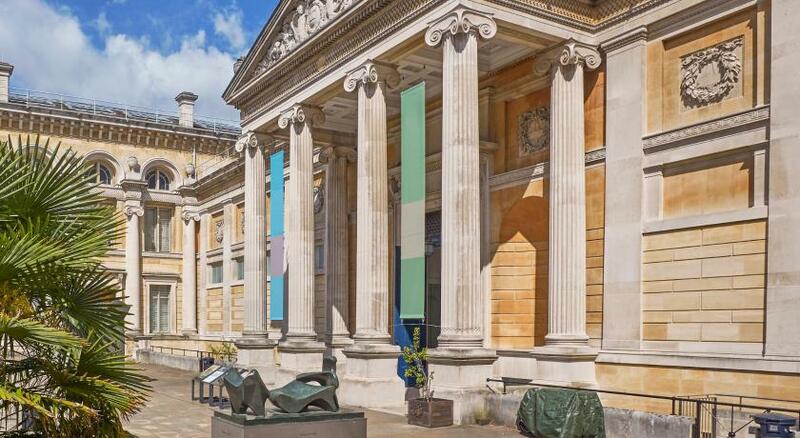 The University of Oxford is located a 5-minute walk from the property. 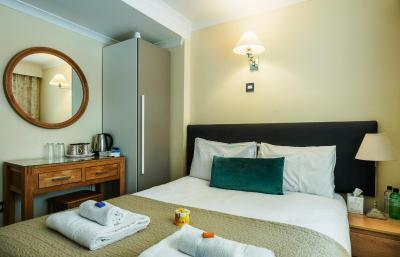 Rooms at George Oxford Hotel come with a TV and tea and coffee making facilities. They all consist of a private bathroom fitted with either a bathtub or a shower. 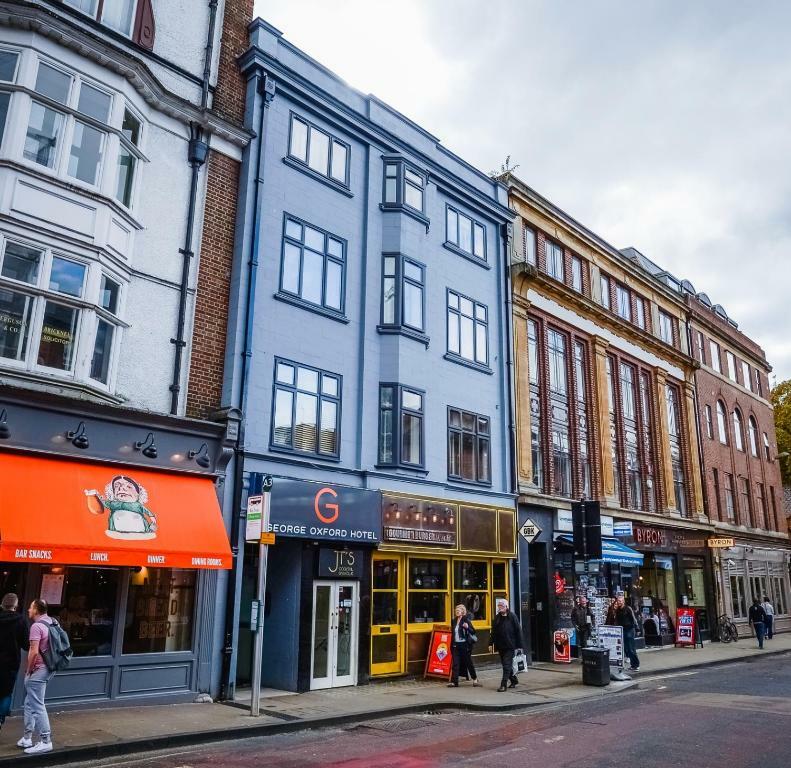 There is an array of cafés, pubs, supermarkets and restaurants serving British and international specialties in the surroundings of the hotel. Busy commercial streets are just 1 minute away from the property. 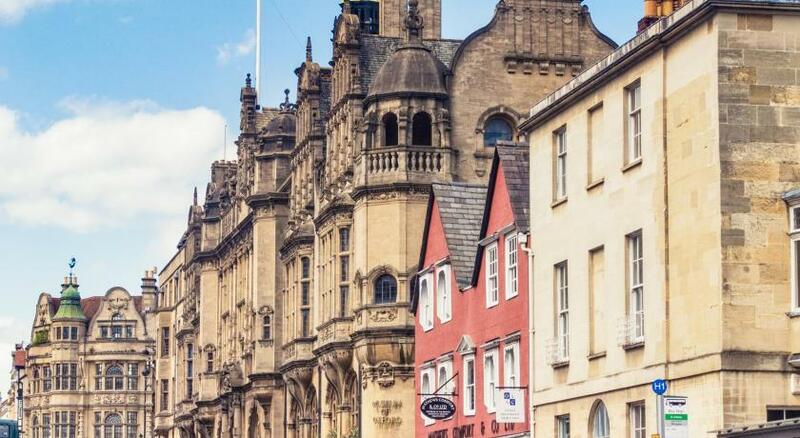 Oxford's Train Station is 1,300 feet from the accommodations and offers regular connections with London. 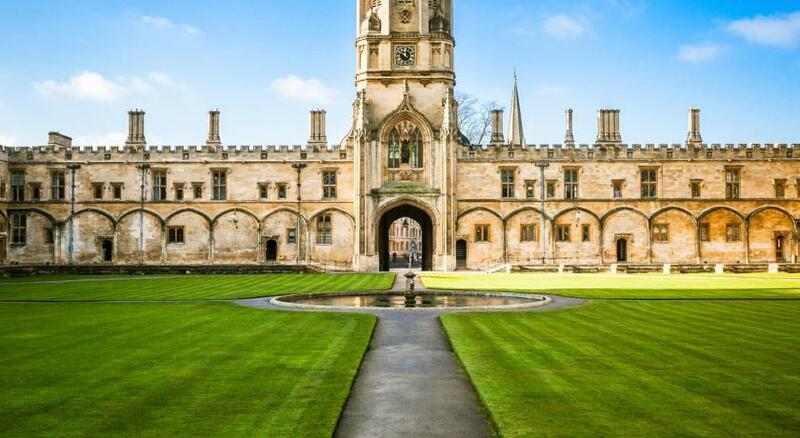 The Oxford University Parks and the Christ Church Meadow are located within 1,650 feet from the hotel. 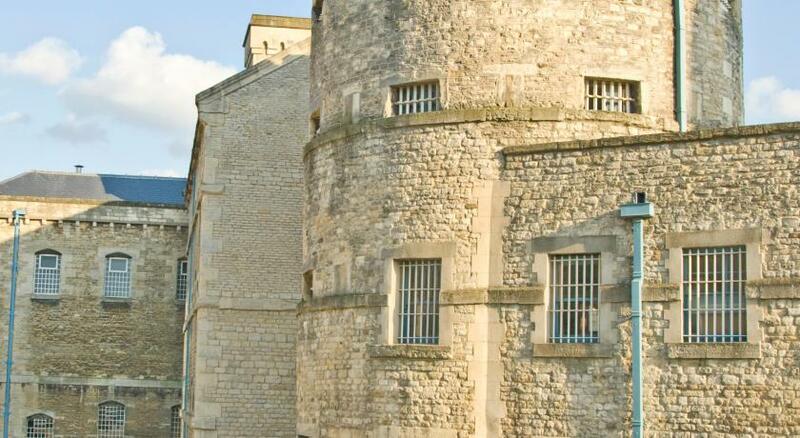 Gloucester Green coach station is just 350 feet away. 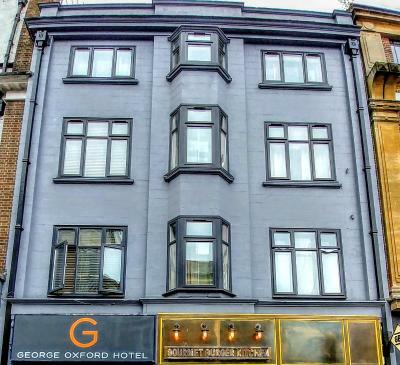 When would you like to stay at George Oxford Hotel? 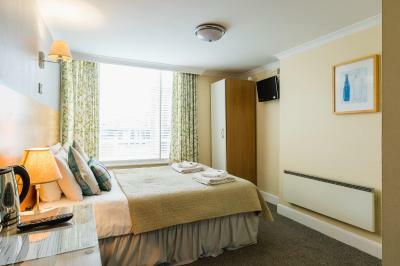 This room comes with a TV and tea and coffee making facilities. 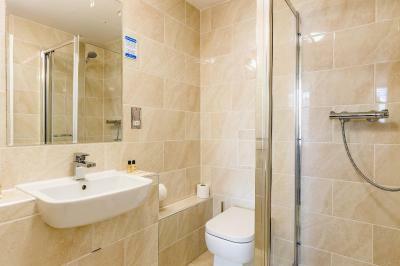 It consists of a private bathroom fitted with either a bathtub or a shower. House Rules George Oxford Hotel takes special requests – add in the next step! George Oxford Hotel accepts these cards and reserves the right to temporarily hold an amount prior to arrival. If booking 3 rooms or more, different cancellation policies will apply. No lift, you have to take stairs to the third floor with luggage. There were some stains on a pillow and cushion. Location is the most advantageous to this hotel. 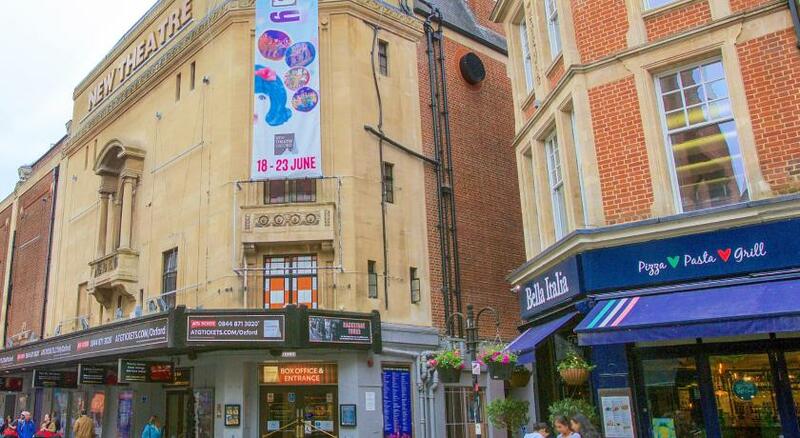 hotel spoilt by noise from nightclub next door. constant noise at night. 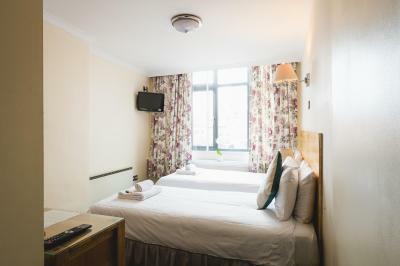 Fantastic location in central Oxford, Good sized room with comfortable bed and adequate storage/ tea coffee, hairdryer etc. Room was clean and warm. This hotel is very central and very reasonably priced. 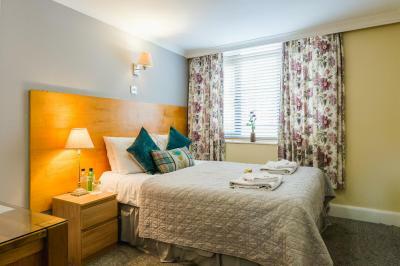 The rooms are clean and modern, with decor and furniture that is in excellent condition. 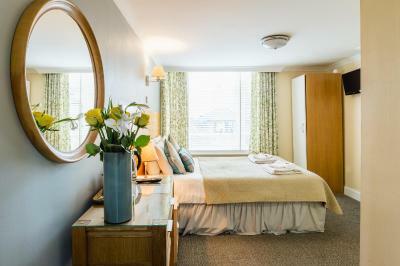 Comfortable bed, and a pleasant, clean and functional bathroom. The room had all the comfort and style of a 4 or 5 star hotel, the only difference being that it was smaller than it would have been in a more expensive hotel. The wifi in our room was excellent; full strength signal. There are no eating facilities in the hotel, but this is not a problem because there are multiple good places to have breakfast or dinner within paces of the hotel's front door. There are no common parts in the hotel either (ie no bar or drawing room or similar), just a reception desk and the bedrooms. 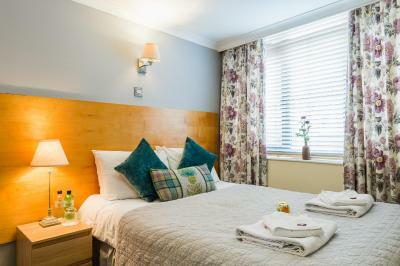 The staff were exceptionally helpful; I had a special request to check out late in order to make a call from the hotel which they helpfully accommodated. 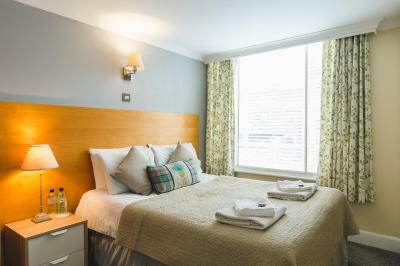 The area in which the hotel is situated is not quiet, but that is inevitable for such a central location and all windows are double-glazed which reduces noise from outside. Rooms quite small and dimly lit however it's to expected from a city centre hotel. 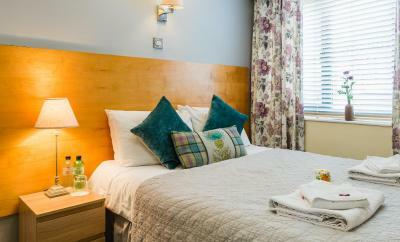 The location is perfect plus reception staff helpful and knowledgeable about the area. Added a request for bath & easy access if possible. Have limited mobility, bringing fold up wheelchair. Can climb a few steps. Email from Booking.com said hotel were able to accommodate request at no extra cost. However room location up two flights of stairs, ok that was one of the nearest rooms to access. Despite having 2 rooms on that level with baths, ours had a shower cubicle. 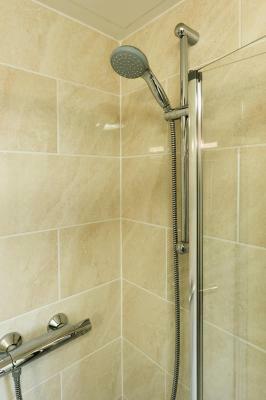 I am unable to use a shower standing, especially with no grab rails. Reception apologise & say we can move the next day. The next day arrives & now they say we can't move you. Have to find a hairdressers & pay to have hair washed. Staff were to speak to manager about a possible reduction for inconvenience. However night before check out we are told hotel never agreed to bath request only promised access. Well I received two emails regarding my request. The 1st from Booking.com to say request granted at no extra cost. The 2nd from Hotel direct saying pleased to offer room requested nearest stairs. 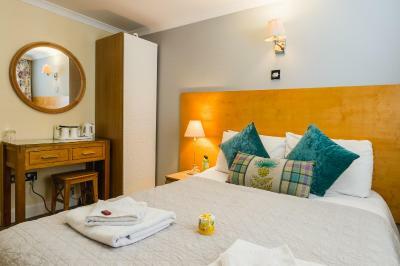 No mention that it WOULD NOT BE one of their rooms with a bath! There was no respect shown to us as customers at all. In fact a very rude tough luck we didn't promise you a bath! 2 nights for £220 in a small room with a shower I couldn't use, an absolute rip off!! Very loud music from 11pm till early hours didn't help matters. DON'T Stay here unless you are desperate & happy to be mugged off & ripped off! Room very small. There is a club just below and noise went out throughout most nights. Even though there are double glazed windows very difficult to sleep. No lift but once we realized and sent mail; they booked us on first floor next to reception which was a relief. No room safe. It is very central. 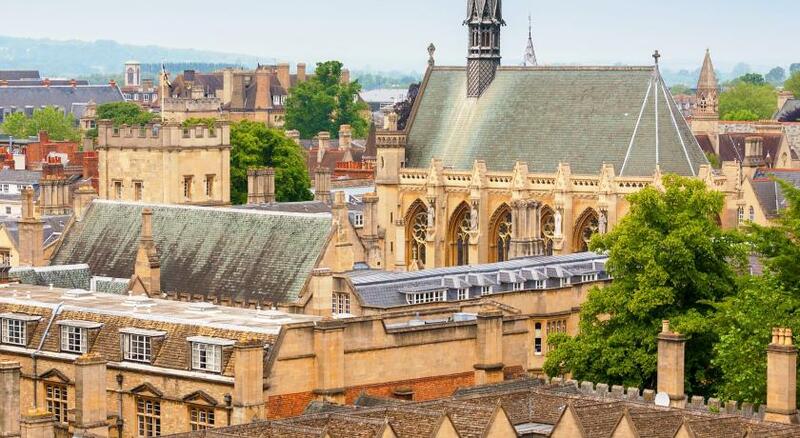 You can literally walk to any place of interest in Oxford. Restaurant and cafeterias in same street are really good. Staff very pleasant and helpful. An old piece of furniture should be taken out and replaced. Except that, I liked the room. 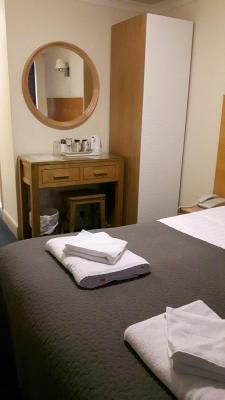 The room was nice, the personnel was very kind and the location of the hotel very central. 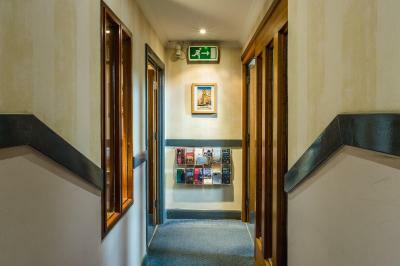 Quite a number of steps to climb up to the reception office and rooms - so if you have large/heavy luggage it might be challenging. In that sense it could also pose a challenge for those who have difficulties climbing stairs. We also had some issues with the plumbing - the drainage for the shower was clogged so we could not shower for one night - good thing the staff managed to get it sorted out by the next day. Another issue was the smell of some sort of chemical in the room - appeared to be seeping in from outside our window which was facing another building's exhaust outlets. 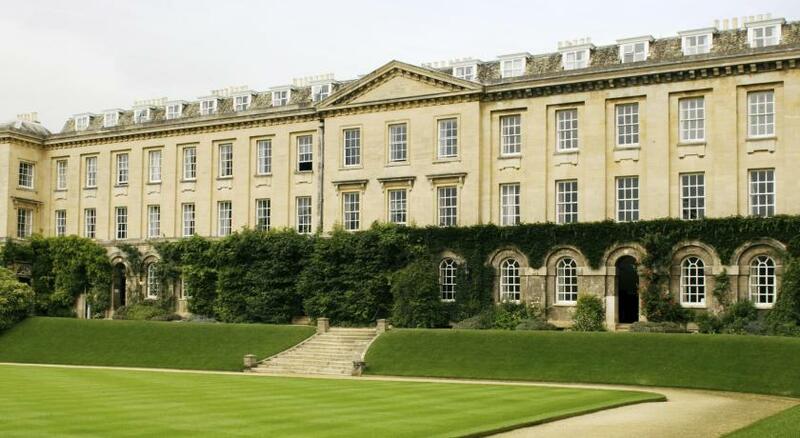 In general, accommodations in Oxford is rather expensive. But that said, for the price paid for this no-frills hotel, I felt it was not quite value-for-money. Location is brilliant! 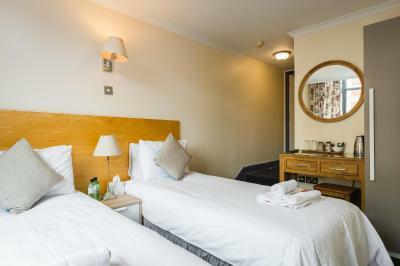 Easy walking distance from the Oxford train station (about 10 mins with luggage on tow), and also easy walking distance to almost all the usual attractions in Oxford. Lots of eateries nearby so although the hotel did not have its own cafe/restaurant, finding food was not an issue.